Let’s face it, when was the last time you saw someone in public and they didn’t have their cell phone with them? How many of these people were actually on their phone while walking, sitting, eating, working? It’s estimated that over 5 billion people around the world own a mobile phone. Over 95 million Americans own a smartphone. Over 70% of the online searches done each day are performed on a mobile device. In 2017, the number of people who check their email on their smartphones has surpassed desk top PCs for the first time in history. The bottom line is, if you are looking to reach your customers, you better be reaching them where they live and breathe, their smartphones. 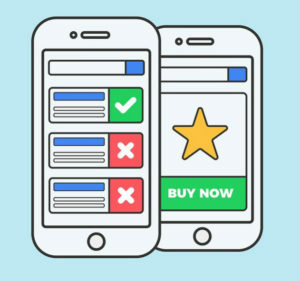 Knowing that just about everyone of your existing as well as potential customers are on the smartphones gives you some distinct advantages when it comes to advertising and marketing. In fact, a local small businesses can harness the focus of their online marketing dollars, thus lowering their overall cost will increasing their ROI. More over, business enjoy higher conversion rates when marketing on mobile platforms. This is true whether you’re trying to get someone to sign up for your email list, make a purchase or join your newly minted text message club. Customer engagement is also higher when including mobile to your overall online marketing strategy. Think about it, we already know that most of your customers have two things when they leave their homes each day; their keys & their cell phone. So if your business is trying to increase their online presence by getting more reviews, then mobile is the way to go. Need to move some product that has been just sitting on the shelves? Then sending a text telling your customers that they can get 10% off today only will get it flying out the door. The tables in you restaurant empty on any given Monday? No problem, a quick text to your customers offering them a free dessert with the purchase of their meal gets them in the door. This is just the TIP OF THE ICEBURG! Mobile Website – At this point in the game, if your business does not have a mobile responsive website, you are loosing money… IT’S THAT SIMPLE! SMS or Text Message Marketing –SMS Marketing has been around for years now, so your customers are comfortable with it… frankly, they expect it! Having customers sign up to receive text messages from your business is easy. They just text a “keyword’ to a number or short code and they’re enrolled. Now you can message them any time you want to increase traffic or move an item. Mobile Apps – If you own a smartphone, then you understand the importance of mobile apps. They make just about anything you need to do on your phone easier and quicker. Let’s not forget, that you can directly advertise to anyone who has the app downloaded onto their cell. Honestly, the cost of developing an app can be prohibitive… but, depending on your business, there are often other, less expensive options which can provide similar results. QR Codes – Quick Response Codes or QR Codes are a type of matrix bar code that was first used as a means of tracking. 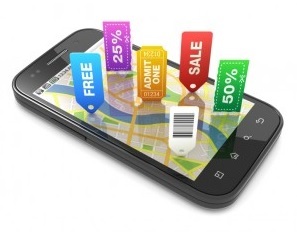 Since those early days, QR Codes have morphed into a major marketing item in the mobile arena. With one scan, your customer can visit your website, get your menu, sign up to your email list, get your newsletter… THE SKY IS THE LIMIT! How Do You Get Mobile? Mobile Marketing is where we shine! New England Online Marketing was originally started as Get Mobile Phone Marketing. 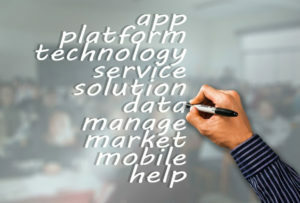 This is where we began, helping local businesses reach their customers with the use of ever expanding mobile technology. Get Your Business Mobile NOW!